Winner of the 2017 JPBM Communications Award for Expository and Popular Books. 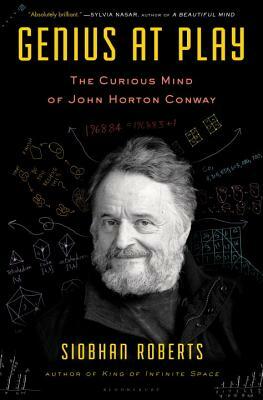 John Horton Conway is a singular mathematician with a lovely loopy brain. He is Archimedes, Mick Jagger, Salvador Dali, and Richard Feynman all rolled into one--he boasts a rock star’s charisma, a slyly bent sense of humor, a polymath’s promiscuous curiosity, and an insatiable compulsion to explain everything about the world to everyone in it. At Cambridge, Conway wrestled with "Monstrous Moonshine," discovered the aptly named surreal numbers, and invented the cult classic Game of Life--more than just a cool fad, Life demonstrates how simplicity generates complexity and provides an analogy for mathematics and the entire universe. As a "mathemagician" at Princeton, he used ropes, dice, pennies, coat hangers, even the occasional Slinky, as props to extend his winning imagination and share his many nerdish delights. He granted Roberts full access to his idiosyncrasies and intellect both, though not without the occasional grumble: "Oh hell," he’d say. "You’re not going to put that in the book. Are you?!?" Siobhan Roberts is a journalist, and won a National Magazine Award for her profile of Donald Coxeter in Toronto, and this is her first book.